Oscar success beckons for one Zambian-Welsh filmmaker – but why are so few black films made in Wales? A film directed by a black filmmaker from Wales has been nominated for an Oscar. 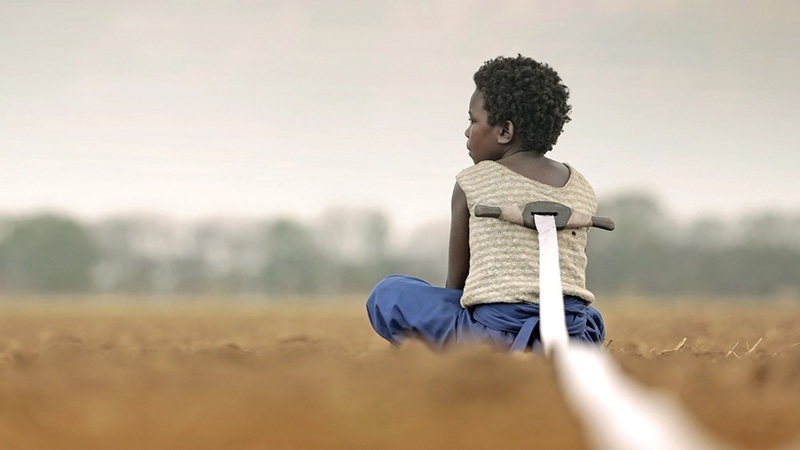 Zambian born Rungano Nyoni, who was brought up in Cardiff from the age of eight, directed a brilliantly original ‘I am not a Witch’. This well-crafted, often humorous, first feature competed at the Cannes Film Festival in 2017 and has won many awards including a BAFTA for ‘Outstanding Debut’ and is nominated for the Oscar for Best Foreign Language this year. Nyoni’s success seems like as good an opportunity as any to draw attention to the work, and problems faced by, black filmmakers in Wales. When I penned my first ever film proposal in 2000, I wrote about our rich cultural landscape here in Wales, our ethnic diversity, and my vision to produce the quintessential Black Welsh Film. Enthused by this prospect I decided to research other black Welsh filmmakers, guided by the late Dave Berry. What I discovered was a treasure trove of wonderful films created by our filmmakers of colour in Wales. I found work by Kyle Lagall and Tony Johnson, both had made animated shorts with characters who were imaginative and authentic, who were black and Welsh. Tony’s animated feature ‘Fallen Angels’ was the only one ever made in the UK by a black man. I met Welsh-Nigerian Filmmaker Branwen Okpako, now based in Germany, and screened her first film ‘Searching for Taid’, produced by a Welsh company. I worked with Leanne Rahman, a film graduate from USW. Both their films were imaginative and related to the black experience in Wales. In 2005 Amma Asante film ‘A way of Life’ opened our Black Film Festival Wales in Cardiff Bay area. Released in 2004, the film was part financed by Arts Council Wales and HTV and was the first Welsh feature to be directed by a black woman. There was a lot of excitement around the ‘A way of Life’. It won multiple awards and had excellent reviews. Amma worked relentlessly to promote the film throughout Wales, answering questions relating to how she made the film and how immigration and poverty impacts on racism. Ironically, with the present atmosphere of anti-immigration and Brexit, this film could have been made yesterday. Professor Florence Ayisi is a highly accomplished Documentary filmmaker. Florence hails from the Cameroon and teaches at the University of South Wales. Florence’s films portray the affirmative aspects of African life, presenting unique and rare insights into the lived experiences of African Women and their rich and dynamic culture. With numerous films under her belt, Florence has achieved great success with films like ‘Sisters-In-Law’ (2005). This film screened in more than 120 film festivals and receiving more than 27 awards. John Giwa-Amu, a Welsh-Nigerian filmmaker and founder of the Production company Red and Black Films, produced the BAFTA-winning ‘Little White Lies’ (2006) ‘The Machine’(2014) and ‘The Party’(2017) directed by Sally Potter. In 2015 John was nominated as one of the Future Leaders by screen International. John is a board member BAFTA Cymru and Ffilm Cymru Wales. Welsh-Egyptian Director Sally Hossani made the wonderful multi-award-winning film ‘My Brother the Devil’ (2012). Sally created an original story of young gang members on a Hackney housing estate. Sally is the only filmmaker in this list to address LGBT issues in the Ethnic Minority community. Sally had already won a Welsh BAFTA for her short ‘The Fifth Bowl’ in 2008 before moving to feature films. But the question is, if we have such amazing success with black film in Wales, why so few made? Why have I not seen a Welsh animated film by a black filmmaker in 18 years? Kolton Lee, a Writer-Director I have worked with many times, recently wrote an open letter that went viral entitled ‘Why I no longer want to speak about race’. Kolton’s biographical essay charts some of the awkward terminology, the microaggressions, the unconscious bias, and the blatant prejudice towards filmmakers and creatives of colour, who are trying to finance their films. I have worked with filmmakers mainly from working-class backgrounds, many are no longer making film, mainly for financial reasons. We must continue to train and mentor filmmakers from black and minority ethnic backgrounds and help them with the financial and professional support they need to create original stories if we are to build on the successes we have seen in the past. In truth, we may also need to look at alternative, successful ways of supporting new work, like crowdfunding and business sponsorship. Having worked as an exhibitor and curator for nearly two decades, I have recently created a new platform which I intend to use to create more opportunity for black and minority ethnic filmmakers in Wales. My hope is that Cinema Golau will be a means by which we can see more stories that reflect the lives of all the people in our communities.